It’s that time of year again. The line-up for the Official Competition at the Cannes Film Festival has been announced and it is an intriguing mixture of established and new talent that looks set to make 2011 a vintage year. Apart from the usual complaints – little from Latin America or Africa and possibly too much from certain European countries – what has caught the eye is the inclusion of six women directors in the two main sections. Of these, the films by Julia Leigh, Maiwenn and Juliana Rojas are all first-time feature films and we look forward to hearing about them when the festival gets underway. Naomi Kawase is an established Japanese festival favourite who hasn’t really succeeded in international distribution yet. She has been previously nominated twice for the Palme d’Or and won the Festival Gran Prix in 2007 for Mogari no mori. Perhaps this will be her year? We are most excited by the new films from Nadine Labaki and Lynne Ramsay. Labaki’s previous film Caramel (Lebanon/France 2007) has been one of our most popular postings and we are still hoping for a UK release of Stray Bullet (Lebanon 2010) in which she starred. 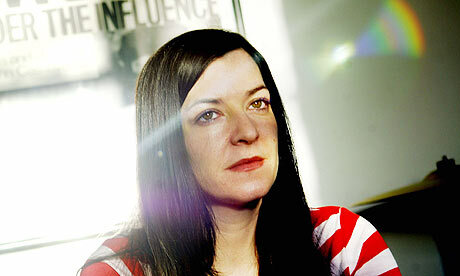 Most of all, however, it is welcome back to Lynne Ramsay. Ramsay first got noticed (and a prize) at Cannes in 1996 with her first film school short Small Deaths. When she won again with another short Gasman in 1998, she was able to turn that success into two lauded features, Ratcatcher (1999) and Morvern Callar (2002). At that point she looked like becoming the UK’s premier ‘art director’ making films that are great to look at, intelligent, different, moving and with something to say. But then she discovered just how crass and cruel the film business can be. She worked for four years on preparation for The Lovely Bones, only for the project to be taken away from her and handed to Peter Jackson. But Ramsay is committed and determined and she has stuck to her principles. We Need to Talk About Kevin is also an adaptation of a successful book but this time Ramsay has been working with Tilda Swinton two tough Scottish women together, quite a combination. Fingers crossed it all looks as good as we all hope it does on screen. The story of the film’s production is part of this useful piece by Andrew Pulver on the DGA website. This entry was posted in Directors, Festivals and Conferences, Films by women, People and tagged Cannes. Bookmark the permalink. Maïwenn isn’t a first-time director (and neither is her sister, Isild Le Besco). Her first feature film was “Pardonnez-moi”, some time around 2006. She then made a second feature, “Le Bal des actrices”. I’ve stopped following her work, but “Polisse” is at least her third feature as a director. She was a child-star before that, on television and in a few films. Thanks — very useful. I was simply quoting the trade press.